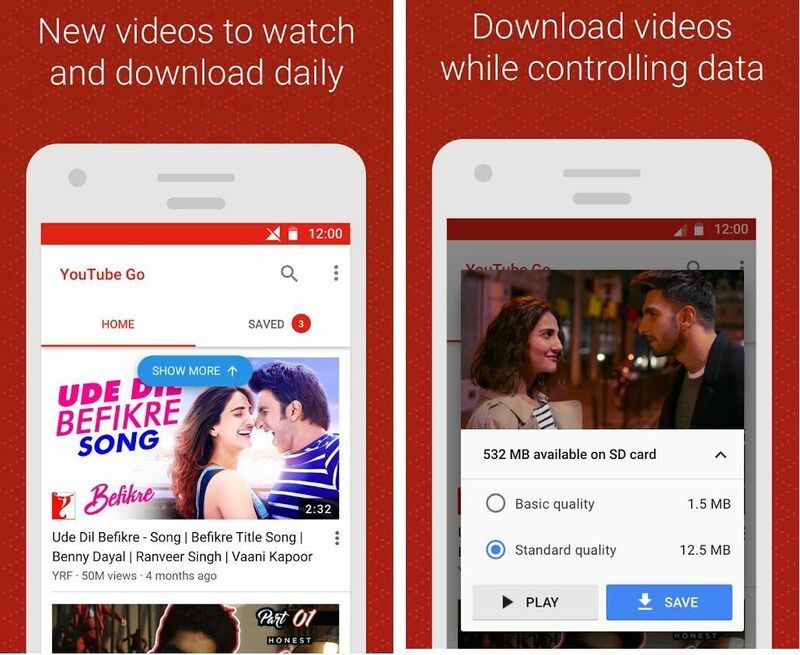 Google has launched Youtube Go beta app for android to improve Youtube video streaming services in India. In India, the internet connectivity is the main issue because most of the users have low bandwidth internet. Google is focusing users who have slow internet connection and released this new app for them. Youtube Go app offers you offline video viewing and sharing. The app works with low connectivity and offers related content recommendations and provides social experience. 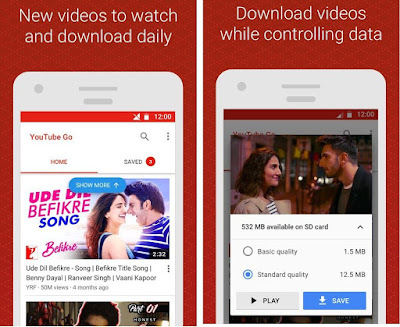 Youtube Go offers similar to Offline feature on Youtube but it comes with more options. The home screen of the app shows trending and popular videos in your area and community. Youtube Go app lets you to view your already saved videos in the Saved Tab. The app will show the preview of the clip by tapping on the thumbnail before saving or watching videos. So you can decide continue watching or closing that video. You can save the videos with your desired quality according to your internet data. Also you can watch the videos in two qualities such as Basic or Standard quality. Youtube Go app will indicates the data size of the video to you before saving videos according to the different video resolutions. 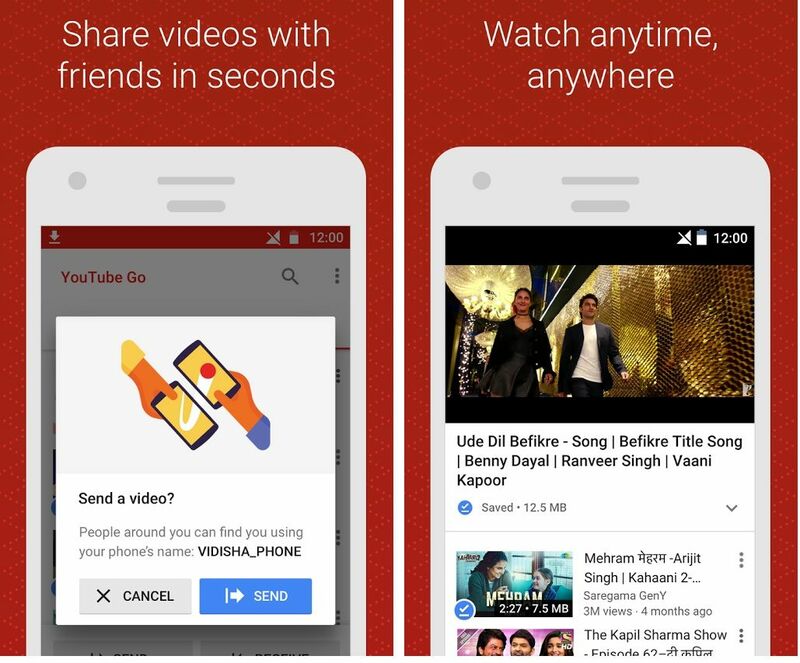 The app also provides you to share Youtube videos to friends and others without internet connectivity by using Wi-Fi direct sharing. You can send and received videos offline within the Youtube Go app. The app is now available on Google Play store for all, but now it is in the beta version. • Download and watch your Favorite videos. • Download videos to your phone or SD Card and watch anytime. How to Check your Pen Drives Original or Fake? How to Get Windows 8 Metro User Interface in Windows 7?